This past weekend I was down in the Fort Meyers, FL area and headed over to stop at Wigert's Bonsai nursery. It was a good time and they were very nice and helpful. My old lady really enjoyed it as well and is now moderately interested in what I'm doing with all my "half dead looking" trees. I hadn't planned to buy anything but ended up with a new ficus and a few new pots. Here's the tree. p.s. I'll post pics of the nursery and pots later. Billy is in florida he will hopefully chime in with some advice..
First remove all the leaves, yes all. Remove that small aerial root in front. I just bought a couple of ficus from Eric Wigert, a Green Island and a willow leaf. The trees were great with nice thick trunks. 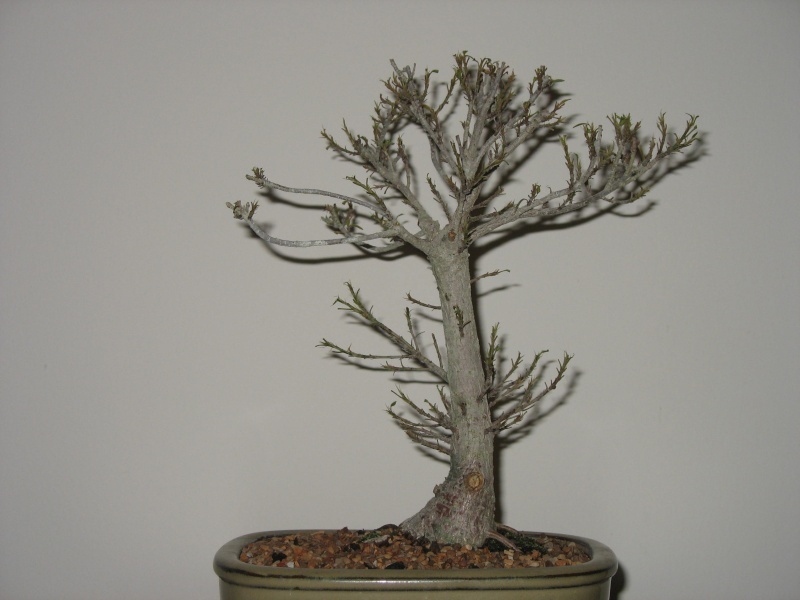 Eric will be conducting a workshop this summer for the Atlanta Bonsai group and I have already signed up for that. 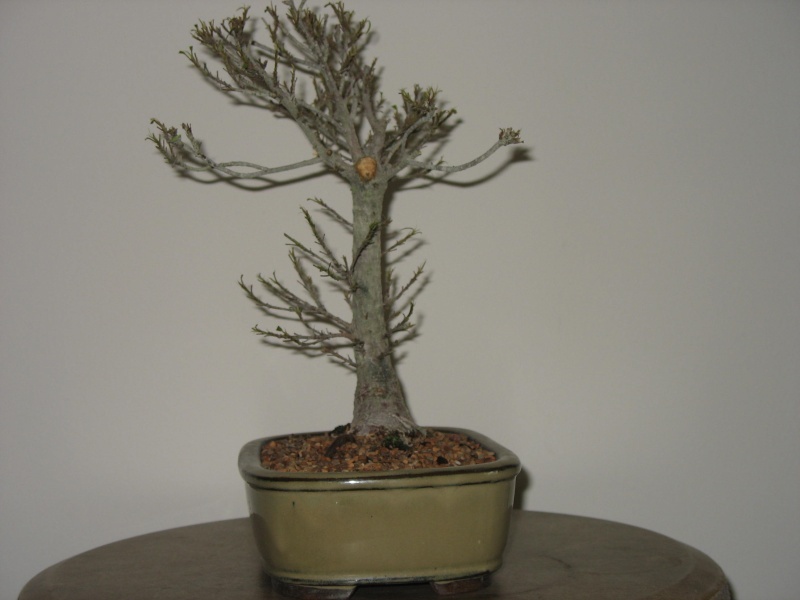 These are my first two "indoor" bonsai and I am looking forward to working with Eric Wigert in July. When I transplant these this summer, how much of the rootball can I take off? They currently are in what appears to be a regular "dirt" type soil - not a traditional bonsai mix. There are some bugs or gnats in the soil I wanna get rid of. Should I use a soil drench insecticide? Those are my weekend tasks. Although I may not defoliate the lower section, as I want this area to strengthen, I will remove unneeded branches though. I post more pic later. The gnats are from over watering. A repot into free draining soil should cure this. If you keep the humidity up around the trees you could remove all the roots and they will regrow. I agree on the gnats. I am doing a workshop with Eric on June 10 at 8 AM on Campeche as part of Bonsai Societies of Florida convention in the Orlando area. Congratulations on a good purchase! This specie is one of my preferred ones and am currently training nine trees to then select for a seven tree composition (which will happen to be my first forest ever). I do have a question though..what is the tree´s real name and where does it originate from? Down here there has been constant debate about the name´s constant changes: Ficus salicaria, Ficus salicifolia, Ficus Nerifolia, Willow leaf ficus, black willow. It is all pretty confusing...I´d appreciate if anyone can shed some light on this. The tree was first found in South Florida in the early 1950's and labeled Ficus nerifolia, Jim Smith of Vero Beach, Florida the largest grower of the variety labeled it Ficus salicaria, however, recently a botanist did a genetic profile of the tree and identified it as an unknown variety. He labeled it Ficus salicifolia, meaning it has a willow like leaf. The other two names nerifolia and salicaria were already taken by existing varieties of Ficus. Some believe that it is sport or mutation of a larger leafed variety. In 1989 a cold snap damaged the trees in Jim Smith's Vero Beach, Florida nursery, some that survived developed larger leaves and even more vigorous growth, these are referred to as Ficus salicifolia "89." Some believe that the "89" variety is the original form and the smaller leaf the mutation. As to the "real" name, we tend to use them interchangeably. Many thanks for the explanation! It is very helpful. From which reliable source can I obtain pictures which can help me distinguish the differences between nerifolia, salicaria and the one in question? Awesome, I´ll check it out! 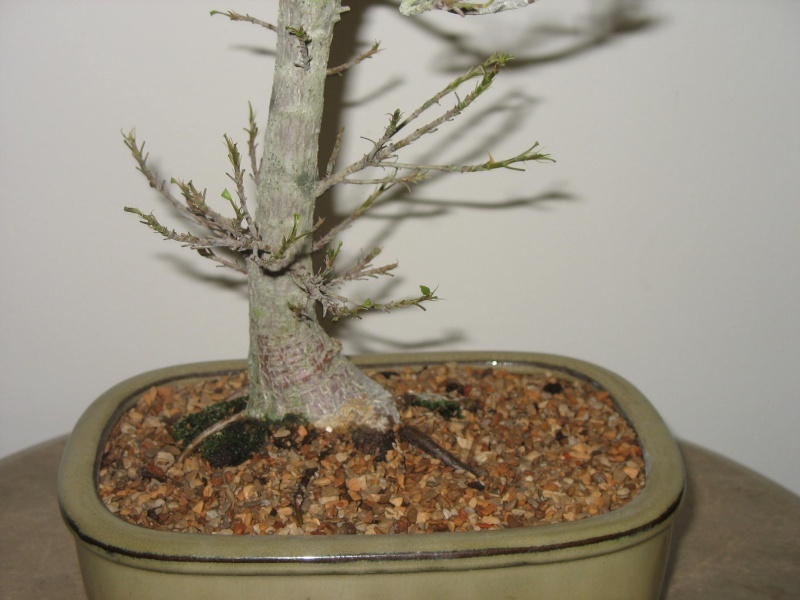 Also, I read an interested article by Harry Harrington about "Willow Water" (http://www.bonsai4me.com/AdvTech/ATwillow%20water.html) which uses a technique of extracting the sap out of cuttings to prepare a liquid which in turn can be used to reduce stress or promote rooting in other plants. Have you heard any such technique and is it this specie the one he refers to? NO, the true willow tree, I'll have to look up the scientific name, is the source of Aspirin and the Native Americans would chew the twigs for toothache. The true willow, such as weeping willow, is a deciduous tree. Not tropical. I think that is Salix Babylonica or Alba. Those are sometimes difficult to find down here and tend to be slow growers as far as I understand. I´ll try to get some to try this technique out. Billy M. Rhodes wrote: recently a botanist did a genetic profile of the tree and identified it as an unknown variety. Ficus salicifolia is from Africa. It doesn't look anything like the tree in question. Based on genetic information, Dr. Berg postulated that Ficus salicaria is from Guyana. It has never been seen in the wild anywhere. True willows belong to the genus Salix. An extract of willow sap, or water from willow cuttings, is said to promote rooting. Many different willow species can be used. Other extracts, called salicylates, are used in medicine, but irritate the stomach. It was a big breakthrough when a German chemist combined acetic acid - vinegar- with salicylic acid to get aspirin. the efficacy or inefficacy of Willow water in rooting has the potential to be an entire thread on its own! man on the mountain wrote: the efficacy or inefficacy of Willow water in rooting has the potential to be an entire thread on its own! 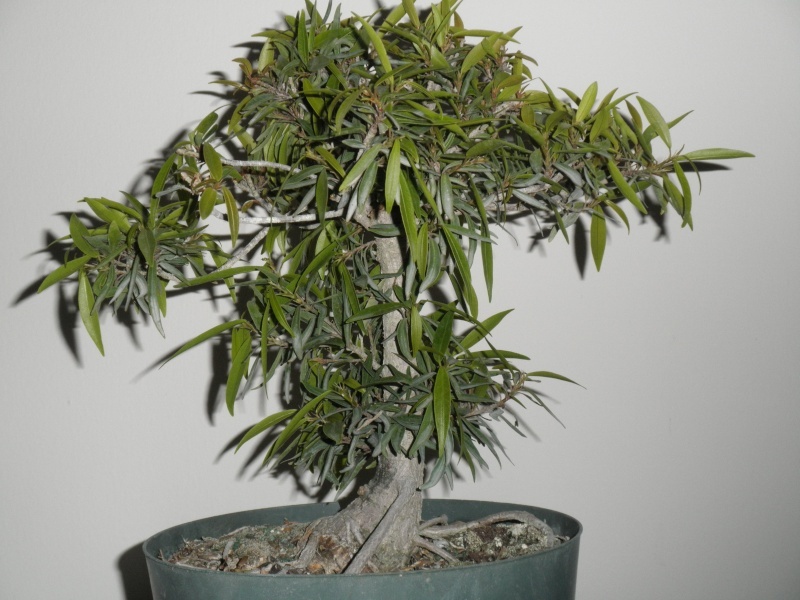 This thread seems to have gone off the topic, but anyway here are some photos of the ficus repotted and defoliated. I have only remove some obviously unnecessary branches thus far. I plan to study the tree for a bit and get some input before I decide on its direction. What I see as the future size for this tree, but as I said the old lady wants me too keep it tall for now. I also want these lower branches to grow and thicken for a season or two before the chop. P.S. Maybe you guys (or moderators) could delete the posts about willow(salix) in order to keep this thread more linear and to the point. My apologies for sidetracking on your topic KGB. Very nice tree. I would personally use a different pot (not collored) as this is more of a masculine tree with no flowering. 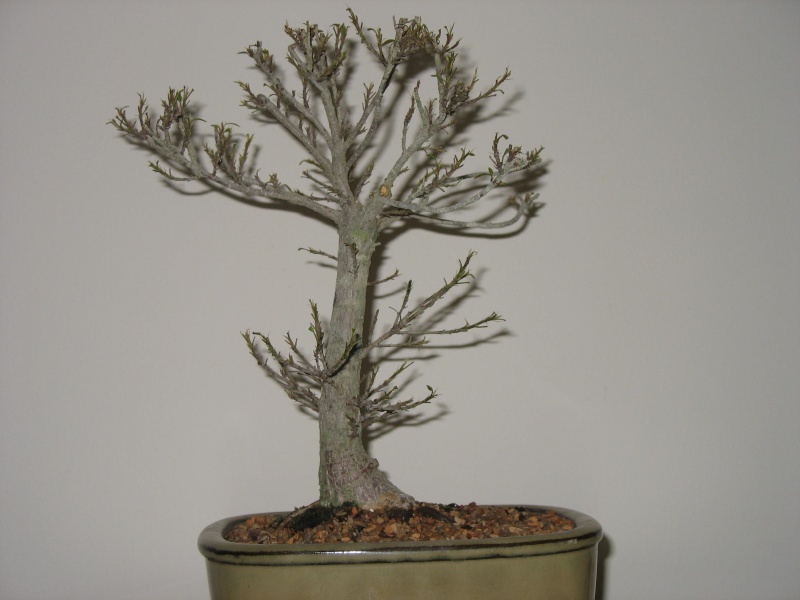 I´d be careful with those middle branches as these grow quickly and can rapidly deform the tree´s taper. How tall is it and how thick? No worries. 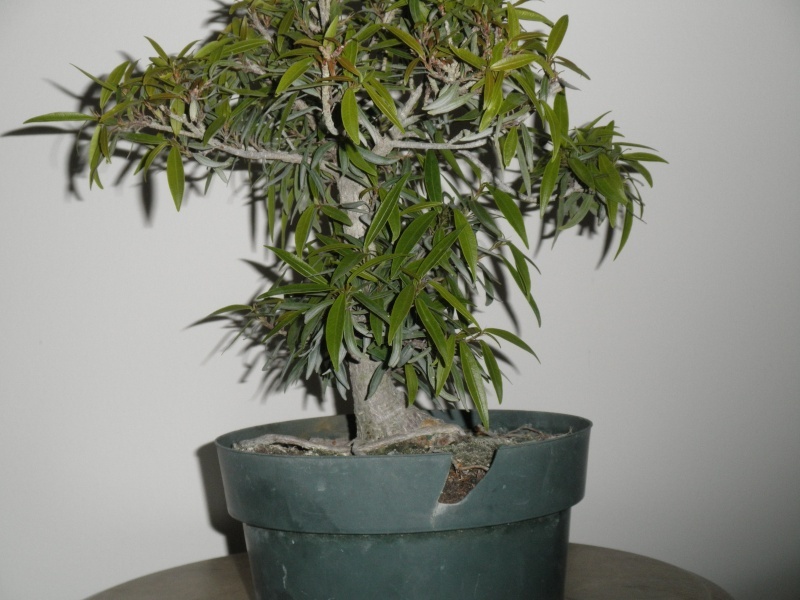 The tree is about 11 inches tall with a close to a 1 inch trunk base. The pot is just a cheap Chinese pot for training purposes. It is definitely to deep and I agree about the color. Right now I just wanted to give it some rooting space to allow it to grow. It still has a ways to go. 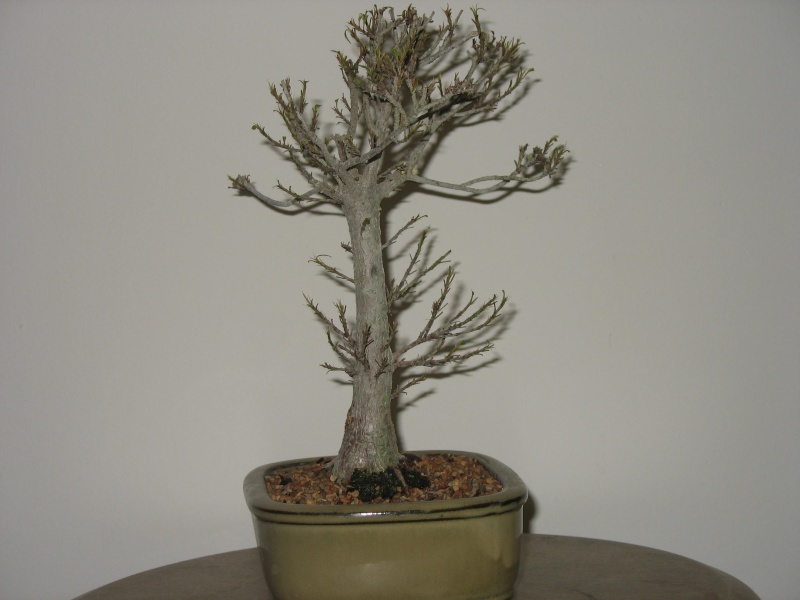 I plan to thin out the lower branches more as they thicken up but for now I'd like to keep my options open. Thanks.